As much as I love the spring season, it can be a bit of a funny time of year weather wise, which can sometimes make it difficult to know what to wear on a day-by-day basis. This is also true when it comes to deciding what coat to wear. It can be freezing cold on a morning, baking hot on your lunch break and then raining on your walk home. At this point it is difficult to know what to put on that will get you through all weather-types. It is at this point that I am drawn to Trench coats. They are the perfect go between when it comes to both the spring and autumnal months. They are cool and lightweight for those bright sunny days, yet they keep you covered, warm and dry as you can pull them tight and tuck your hands in the pockets, when the weather is a little less bearable. I find that a trench coat is the perfect companion for this time of year and I have been seriously lusting over the Jack Wills Women’s Trench Coat collection of late. Not only is a trench coat an easy transitional piece of clothing to wear, I find that it is a very versatile item to style. 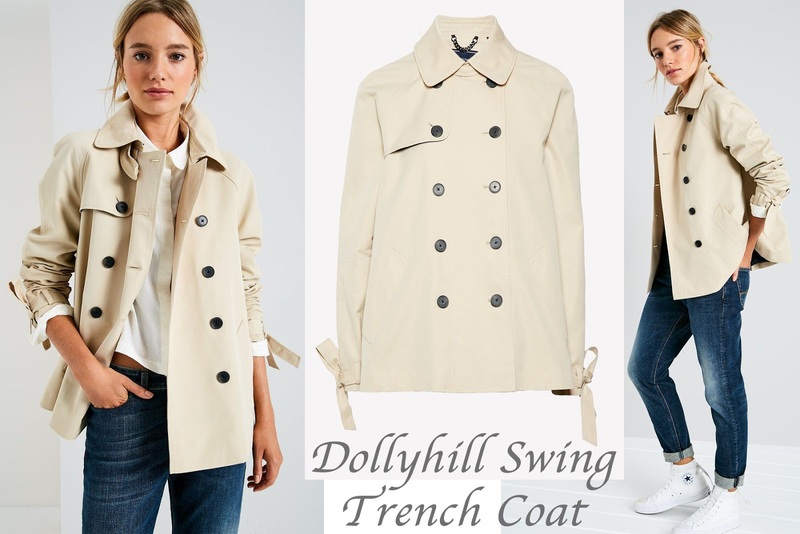 I love this Dollyhill Swing Trench Coat from the lovely Jack Wills range. 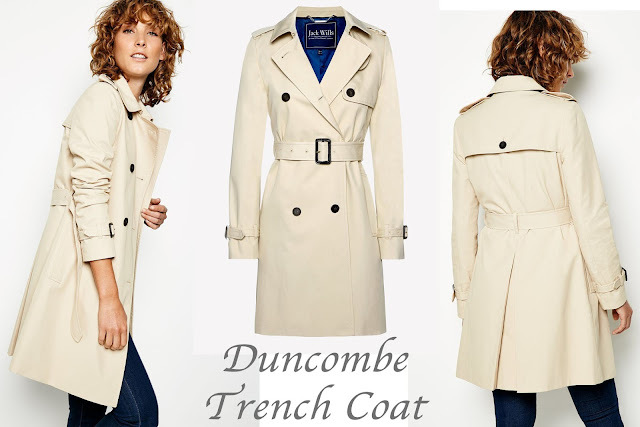 I think that this is such a cute twist of classic trench with its higher collar and shorter cut. It can be styled with skinny jeans, a stripped tee-shirt and left open for an easy day time look, or buttoned up with a little black dress and heels as a spring-time evening jacket. For something a little more classic, the Duncombe Coat has more of a standard length and lapel that you would expect to find on a trench. I love the belt that fits around the waist for a very flattering and sophisticated style. I think that this would look perfect with a pair of black cigarette pants and some loafers, which could be worn both during the day and on an evening. Be sure to have a look on the Jack Wills website to find out more ways on how to style a trench coat. What are your thoughts on trench coats?